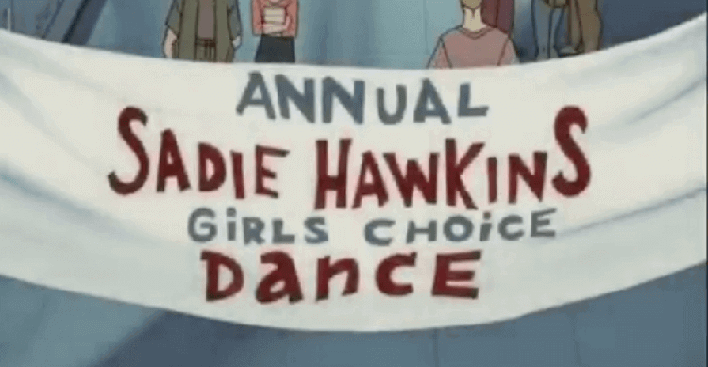 Have you ever held a Sadie Hawkins Day Dance at your school? It's a once-a-year reversal where the tradition is for the girls to invite the boys to the dance rather than the other way around. The tradition dates from back in the 1930s and started with the Li'l Abner comic strip. Somewhere down the line, February 29 officially became Sadie Hawkins day, but you don't have to wait for a Leap Year to hold a Sadie Hawkins dance — any day in February will do just as well. If you want to pay tribute to the comic strip that started it all off, use hay bales, printed bandanas and denim to decorate your venue. Have a dress code of overalls or jeans, checkered country-style shirts, and straw hats for the finishing touch. If any of your guests want to go all out for the occasion, they can turn up barefooted (just watch out for bruised toes). It might be that your group doesn't have a suitable venue or one that's large enough. If this is the case, see if you can use the gymnasium at a local school (which will really bring back those high school dance memories). Charging an admission fee, selling refreshments, and having a photographer take pictures that can be sold later on are all ways of raising funds for your chosen cause. You can read here to find more information about holding a dance fundraiser.